Well you have several options and I will tel you know two of the easy ones. First lets remove it by using the script editor web part. Lets identify first what is div id of this alert by right clicking on the text and choosing inspect element. As you can see in this example it is called “DeltaPageStatusBar“. 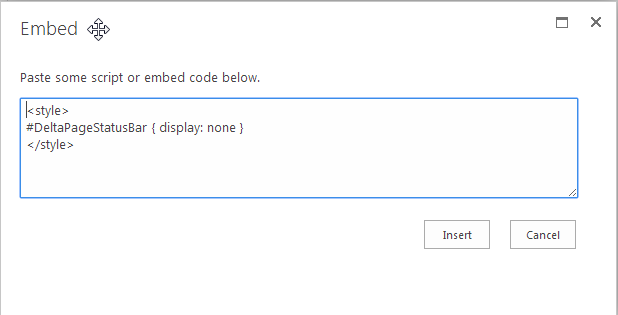 Now that you know the Id lets disable it using some CSS code. Go to you page where the message is visible then edit the page, on SharePoint tabs on top choose insert then under categories you will see Media and Content, choose script editor and add to any location on your page, this wont be seen anyways. Now that the web part is added, edit it then add this lines of code to hide the said div / message. Now if you want to do it from SharePoint Designer, follow the steps below. Open SharePoint Designer and open the site page you want to fix. Look for the file and you will notice it will have a blue information icon beside it. You will also see the content type on the site, the type is the one triggering that message and once you modify it some identifiers for that type gets modified. 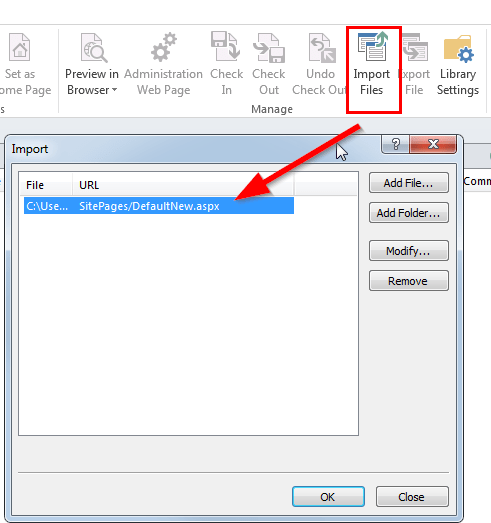 Now we have to get rid of this type and one way of effectively doing is creating a new aspx page or ticking SharePoint that you created it on your own which you can do by Exporting the file that gives this message. Save it in your desktop, rename it then import it back. Once imported you will see there are no more blue information icon beside it and the content type now is blank. Open this in your browser and the message is gone. Thank you so mush for the given message removal Information for SharePoint. I also got the same message and looking for the solutions. Your post describes a single point in the detailed with screenshot. I am very thankful to you for such stuff. Thanks again.